For over two decades Lisa Roet’s art has interrogated the complex relationship between humans and our simian cousins, drawing on associated debates around evolution and creationism, language, communication and science to highlight the critical challenges facing humanity today. An extension of her visual art practice, Lisa Roet’s jewellery collection reminds us of our connection to our closest animal relatives, by adorning the human form with a potent sense of the “Other”. 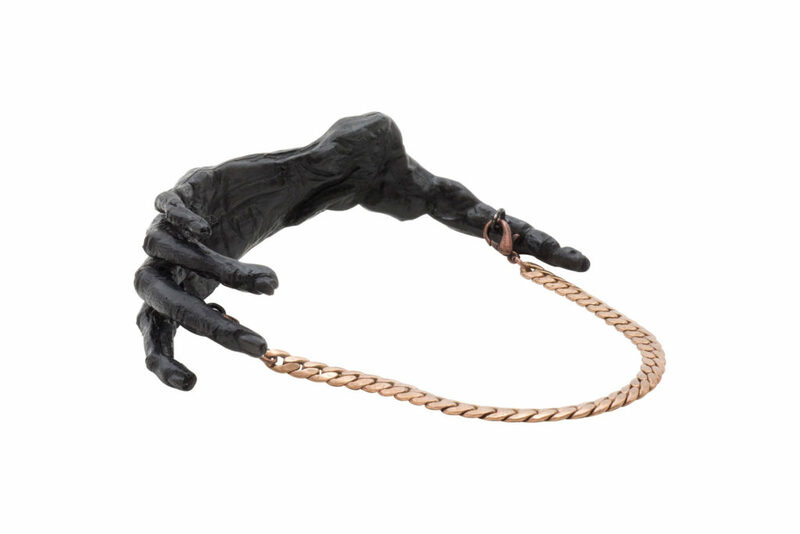 The imprint of Gorilla and Orang-utan skin is cast and then layered as jewellery upon the skin of the human wearer.